Nintendo Labo: VR Kit lets players experience virtual reality while using cardboard controllers. So far, 2019 has been jam-packed with big video game releases, from Kingdom Hearts 3 and Resident Evil 2 in January to Yoshi’s Crafted World in March. While April’s calendar is a bit less packed than those of recent months, there are still some big-name games coming out in April for families to enjoy together, and for adults to enjoy when littles leave the room. Nintendo Labo: VR Kit is the fourth entry in the Nintendo Labo series (the Variety, Robot, and Vehicle Kits were released in 2018). It lets kids and adults construct six new Toy-Con controllers out of cardboard (a blaster, camera, elephant, bird, wind pedal, and the VR goggles) and then try dozens of different games and experiences in basic virtual reality. Kids can use the camera to take pictures of underwater creatures, shoot aliens with the blaster, and much more. 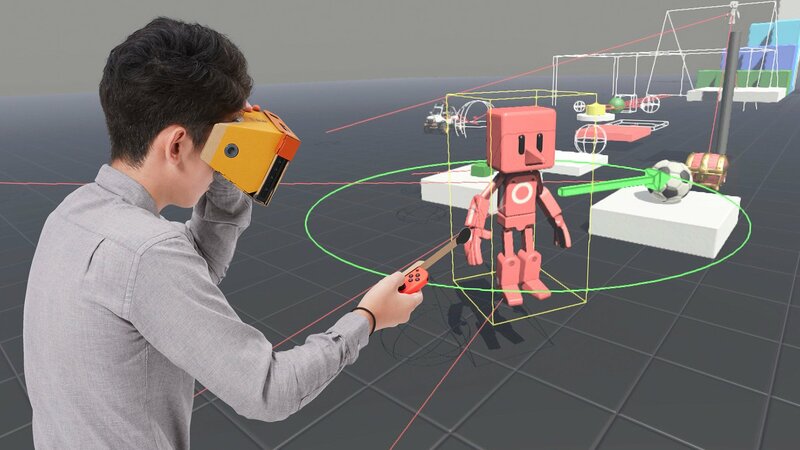 Nintendo said the VR component is only appropriate for kids 7 and up, but parents can turn off the VR feature and let younger players try the kit’s games and experiences in 2D. For more information on Nintendo Labo: VR Kit, check out our list of some of the many games and activities it will include. This life simulation game will allow players to grow crops, take care of animals, craft items, mine for materials, loot dungeons, fight monsters, and interact with Portia’s citizens, all while trying to restore their Pa’s workshop. Players will be able to form friendships with the town’s residents, and even get married, if they’d like. Mortal Kombat 11 is the latest entry in the popular fighting game series, which has been no stranger to controversy over the years. This new installment is full of over-the-top violence and gore, and has earned an M rating from the ESRB, meaning it contains content that’s been deemed inappropriate for players under 17. The game’s ESRB rating contains content descriptors for “Blood,” “Intense Violence,” and “Strong Language,” and you can see a glimpse of the game’s mature themes in the trailer above. Noteable kid- and teen-friendly titles are in bold.